Ahmedabad, founded by Ahmed Shah-Iin the 15th century is the largest city in Gujrat. The city is a growing center of education, information technology and scientific industries and a vibrant business district. It is the first city in India to be declared as a UNESCO World Heritage City. Today, the city is known for its temples, heritage sites with Indo-Islamic architecture, and also is the city where Mahatma Gandhi began India’s freedom struggle. 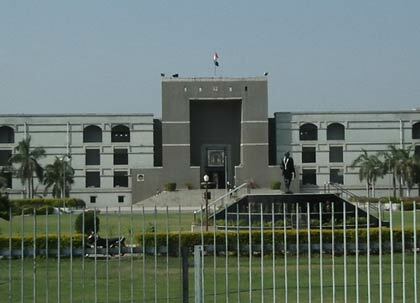 Ahmedabad is Gujarat's largest city and the headquarters of Ahmedabad districtis situated on the banks of the River Sabarmati in the northern part of Gujrat. It is located at 23.03°N and 72.58°E spanning an area of 205 km² and lies at an altitude of 48.77 above the sea level. Its highest recorded temperature is 48.5°C and lowest is 5°C. Ahmedabad is located in a very dry and sandy area. Ahmedabad lies on the western side of Gujarat, which is basically a desert area because of which it experiences extreme type of climate. It is advisable to visit the place during winters, between October and March, when the climatic conditions are cool and pleasant. Ahmedabad is divided by the Sabarmati into two distinct eastern and western regions. The eastern bank of the river houses the old city which includes the central town of Bhadra. 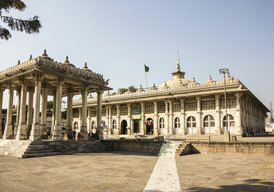 This part of Ahmedabad is characterized by packed bazaars, cluster of buildings and numerous places of worship. 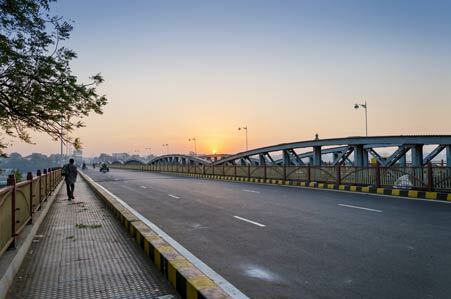 Ahmedabad experiences three main seasons, namely summer, monsoon and winter. The climatic conditions of Ahmedabad differ from season to season. Ahmedabad experiences extreme type of climate. There is a lot of difference in the day and night temperatures. Climate of Ahmedabad, is usually hot and moist. Summer season begins during March and ends by the month of June. The weather is very hot during the months of March to June with the average summer temperature ranging from maximum 43 °C to minimum 23 °C. The months of November to February have an average maximum temperature of 36 °C and a minimum of 15 °C. Barring monsoon, the climate is very dry. Cold northerly winds make January very chilled. The south-west monsoon winds brings humid climate to Ahmedabad from mid-June to mid-September.The average rainfall is 932 mm. The highest temperature recorded is 47 °C and the lowest is 5 °C. Ahmedabad city is famous for its diversified culture. Ahmedabadis are very fond of food. As the center of Gujarati cultural activities and diverse traditions of different ethnic and religious communities, Ahmedabad enjoys a thriving cultural tradition. As the center of Gujarati cultural activities and diverse traditions of different ethnic and religious communities,Ahmedabad savors as a thriving cultural tradition. Popular festivities and celebrations include ‘Uttarayan’, an annual kite-flying day on 14 January and Navratri - where people perform ‘Garba’ - the folk dance of Gujarat - at venues across the city. ‘Deepavali - the festival of lights is also one of the festivals which is celebrated with a lot of enthusiasm, by lighting of lamps in every house, decorating the floors with the Rangoli and the bursting of firecrackers. The annual Rath Yatra procession on the Ashadh-sud-bij date of the Hindu calendar and the procession of Tajia during the Muslim holy month of Muharram are some intrinsic parts of the city's culture. 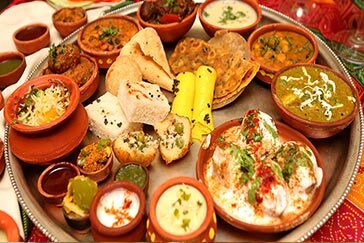 The people of Ahmedabad enjoy rich culinary traditions. The popular forms of meal include a typical Gujarati thali (meal) - consisting of rotli, dal, rice and Shaak (cooked vegetables, sometimes with curry), with accompaniments of pickles and roasted papads. Popular beverages include buttermilk and tea and sweet dishes include laddoos and mango. 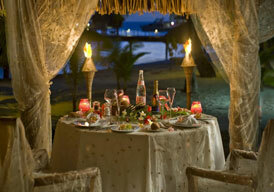 There are many restaurants, which serve a wide variety of Indian and international cuisines. Food outlets in Ahmedabad commonly serve only vegetarian food, as most of the people living here belong to the Jain and Hindu communities who are pure vegetarians. Common languages spoken in Ahmedabad are Gujarati, Hindi and English. The native language of Ahmedabad is Gujarati since most o the people living here are Gujaratis. Festivals in Gujarat shows socio-cultural-religious and even economic aspirations of the people of Gujarat. The Great Gujarat Kite Festival marks a new record of religious tradition blend with economic development. The Festival and fairs of Gujarat promote unity, spiritual well being, self discipline and ethnicity. These festivals bring a very pleasant and enthusiastic kind of environment in the city. Ahmedabad, situated on the banks of river Sabarmati, is located on the western side of of Gujarat. Ahmedabad city was the rule of different dynasties, right from Sultanate and Mughal rule to Maratha and British rule. Ahmedabad was the former capital city of Gujarat. During the freedom struggle of India, it has served as the home to many prominent nationalist leaders like Sardar Patel and Mahatma Gandhi. Ahmedabad has a rich and varied history. Around eleventh century, the region was under the rule of the Solanki dynasty. The Gujarat Sultanate, under the rule of Ahmed Shah I, announced Ahmedabad as its capital on 4th March, 1411. Under the rule of the Sultanate, the city prospered but later declined, which lead to the transfer of the capital to Champaner. The city was under the Mughal Empire for 135 years. Due to the political instability, the city was being ruled under the joint rule of the Marathas and Mughals. From 1818 to 1857, the British East India Company established their rule in the city, followed by the British Raj from 1857 to 1947. Ahmadabad had an important role in the Indian Independence Movement, where great freedom fighters such as Mahatma Gandhi and Sardar Vallabhbhai Patel contributed to the city. After independence, the city was under Bombay State, followed by the formation of Gujarat as a state in 1960. Ahmedabad was the capital of the state for a few years, before the establishment of Gandhinagar as the capital in the 1970s. Adalaj Stepwell is a glorious structure built exclusively to provide access to ground water and curb water crisis of the people of Adalaj Village. The stepwell is located at a distance of 3 to 4 kilometers to the south-west of the capital city of Gujarat, Gandhinagar. It is intricately carved with Indo-Islamic architecture and design and was built in 1498 by Queen Rudabai of the Vaghela dynasty. This five storied structure serves as a meeting point for locals as well as a venue for festivals and sacred rituals. Jumma Masjid, famously known as ‘Jama Masjid’ is one of the finest architectural specimens found in the city and is situated on the Mahatma Gandhi Road in Ahmedabad. This mosque was built by Sultan Ahmed Shah in the year 1423 to render Muslim devotees a place to gather for Friday prayers. This magnificent yellow sandstone mosque incorporates elements from Hindu and Jain temples. The mosque has 260 pillars that are covered with beautiful carvings and the interior of the shrine is illuminated by natural lights that filters through the lattice work screens which gives the viewers a beautiful sight to see. Kankaria Lake formerly known as Hauz-e-Qutub is the second largest lake of Ahmedabad. It is located in the south-eastern part of the city was built in the 15th century and was later revamped in 2008. Kankaria Lake is a perfect place where entertainment, culture, knowledge and talent perfectly blend with each other. A pathway surrounding the lake has alluring and adventures activities for people of all age groups. It has an ecstatic ambience specially during late evenings with multi colored lights glowing all around its periphery. Some adventurous activities here include archery, gymnastics and water rides.The most enticing festival - Kankaria carnival is celebrated with immense energy and excitement here. 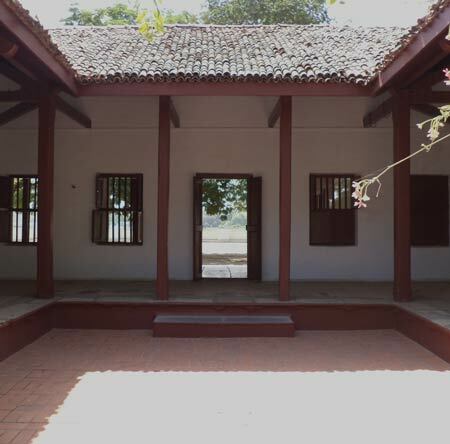 Sabarmati Ashram, popularly known as the 'Satyagraha Ashram' as Gandhiji began the famous 'Dandi March' from here, is one of the biggest tourist attractions located in the suburb of Ahmedabad, Gujarat. It is now recognized as a national monument where one can sense the ancient history and legacy of this place. Gandhiji led many movements for Independence from this ashram. The famous ‘Dandi March’ in 1930, was embarked from the very same ashram. There is a museum at the ashram, ‘Gandhi Smarak Sangrahalaya’ which exhibits thepersonal letters and photographs of the Nation’s Father. There are other buildings and sites within the Gandhi Ashram known as Nandini, Vinoba Kutir, Upasana Mandir, and Magan Niwas. These buildings are named after people who were acquaintances of Gandhiji. 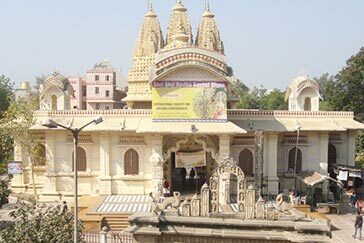 Shri Swaminarayan Temple, which is located in the Kalupur area of Ahmedabad, is a shrine dedicated to Narayan Dev.This glorious temple was built in the year 1822 with the directions of Swaminarayan, who was the founder of the Swaminarayan sect of Hinduism. Beautifully designed with kaleidoscopic colors and complex carvings, this temple is an incredible example of the architecture of the nineteenth century. Inside the sanctum, the deities are decorated with flamboyant ornamentations and beautiful fabrics. The temple is beautifully carved out of Burma Teak wood and the intricate detailing in the carvings of this temple makes it an engineering masterpiece. The main complex of the temple is spread over a vast area making the temple a spectacular sight to behold. This temple is also the headquarter of the Nar Narayan Gadi, which makes it an even more worshipped temple among believers. Vaishnodevi Temple, located on Sarkhej-Gandhinagar highway of Ahmedabad is a true replica of the original Vaishnodevi temple in Jammu Kashmir which satisfies the quest of devotees seeking a pilgrimage to the sacred Hindu temple. It has been set above a mock hill, to give the real feel of the environment of the shrine. 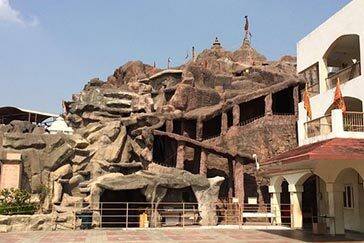 A man made stone hill is made out of yellow sandstone which is in a circular shape that houses several beautiful carvings and sculptures of gods and goddess. Pilgrims have to walk through the man made hill to reach the main sacred temple which is located at the top of the hill. Thousands of devotees as well as tourists visit this temple every year as the temple can be visited in a couple of hours. Manek Chowk, located in the old city is a famous city square in Ahmedabad. This chowk is surrounded by many historical buildings and has multi-purpose markets. 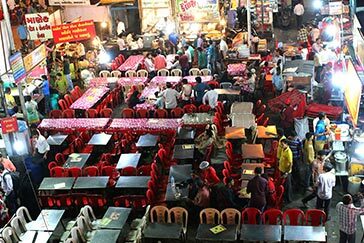 Best time to visit the chowk is at night where it converts into a ‘food lovers’ paradise where one can have the best of Gujrati delicacies. Also this chowk is famous for best of women's attire and accessories with variety of designs, patterns and traditional work on it. 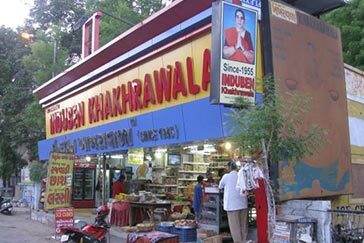 Along with shopping this place is also best known for its Kulfi and other snacks like bhaji-pau, Dosa, Sandwiches etc. The best way to see the old city is a heritage walk at night through some historic spots which starts from Mangaladas Ni Haveli and ends at Badshah Na Haziro. The ISKCON Temple in Ahmedabad is the best place to experience spirituality and mental peace. This temple is also referred to as the 'Hare Krishna Temple', and with its calm and peaceful atmosphere, offers the perfect place for meditation. Chantings of Hare Rama Hare Krishna being played inside the temple is a special feature at the center which gives a blissful feel to its devotees. Many devotional lectures and addresses are arranged for the benefit of devotees. The followers hold sessions in institutes, corporates, etc., to teach the techniques of spiritualizing the daily life. Ahmedabad has a population of over 5.5 million people. A lot of migrant workers from Gujarat including Kutch and Saurashtra and other states of Rajasthan and Maharashtra live in Ahmedabad. The people of Ahmedabad are mostly referred to as Ahmedabadis.. They are very lively and cherish each and every moment of their life. The people here are very simple and traditional. They are very proud of their culture, and they have a lot of respect for their traditions and customs. They have embraced modernity, without letting go of their original culture. The city is mainly home to native Gujaratis who speak Gujarati. However a good number of Punjabis, Sindhis, Marathis, Tamils, Marwaris and Malayalis also live in the city, who follow their own native language and culture. There are also a good number of Parsis resident in Ahemdabad. Ahmedabad enjoys a great religious diversity where most of the people are Hindus, Jain, Muslims or Christians. Parsis and a community of Bene Israel Jews also live in Ahmedabad. Most of the native citizens speak Gujarati but the languages spoken in commerce, education, politics and government are Hindi and English These varient groups of people add to the diversified culture of Ahmedabad. People celebrate each cultural festival in a very enthusiastic way. 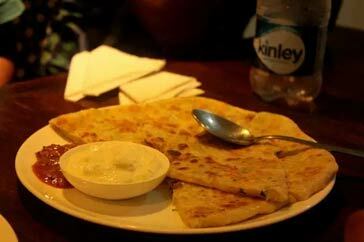 Induben’s is the perfect stop for Khakhras and other Gujju breakfasts. Famous for their khakhras, fafdas, Namkeen, Papad, Chutney and Mukhwas, Induben boasts about their spicy, tangy and delicate preparations. 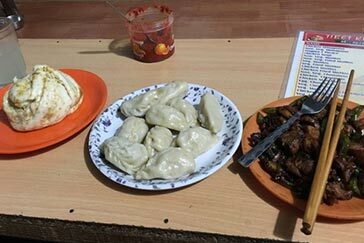 Famous for their authentic Tibetan cuisine, Amdo’s kitchen attracts Momo-lovers from far and wide along with their hot and sour Thukpas and fried rice. Also, their red chutney is exceptionally amazing. They call themselves the “King of Kool Kulfi” and rightly it is. They are known for their mouth-melting Kulfis available in every flavour possible. The taste of their heavenly Kulfis are a perfect finishing to your hearty meal. Om Sai Parantha is one of the best when it comes to the street food outlets of Amdavad. Prior reservation is needed to come to this heavenly abode. Freshness, hygiene and quality are well taken care of here. A little expensive for street food, but you won’t regret spending an extra buck. 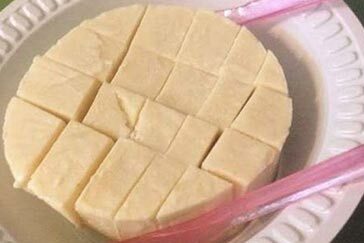 Bhatiyar Gali is a non-Veg paradise at the heart of the vegetarian city of Ahmedabad. This is one of the best places for Tava-Biryani, Bheja Masala, Chicken Angaar, Kababs, Kheema Samosas, Chaap Fry, Bhuna Gosht and many others. You name it, and this Gali will serve you the most authentic and sumptuous preparations.